Clicking on any article title will take you to the article on an external site! The Getup Vintage is Ann Arbor's oldest vintage clothing shop, and it just celebrated its 14th anniversary. Another piece of their work is a commitment to the environment. The Getup Vintage uses green sources for 100% of its shop's energy and is a member of DTE Energy's MIGreenPower program. "All of our energy is solar power, so we are off the grid," said Leyland. "Just the recycling aspect of buying secondhand clothing (is significant) -- the amount of textile waste that you save. Promoting this lifestyle, where not everything in your closet has to be new, is really important to us. Be more aware of where your things come from. "I even make my own laundry detergent. We’re down to 27 cents a load. We're saving so much product waste. We really try to live a very low-waste (lifestyle) in this store. And that’s something we’re really proud of." Aside from the issue of textile waste, Leyland said the quality of materials and the fact that vintage clothes were made in the United States also separate them from newer, fast-fashion pieces. "If you feel the materials of a vintage garment versus something that’s at a Forever 21, it’s insane. A T-shirt at Forever 21 could disintegrate in a minute, but a nice cotton dress from the 1950s is beautifully made. It’s what you would buy couture now for thousands of dollars." “Everyone wants Ann Arbor to be funky.” This is the proclamation of Lindsey Leyland, one of the two owners of The Getup Vintage, a small vintage boutique sandwiched between Totoro Japanese Restaurant and Taste of India on State Street. The boutique boasts an eye-catching storefront (bright purple with turquoise daisies painted around the logo), but the inside of the store, decorated with bright colors and peace signs and a sign that says “You Can Dig It”, is even more...well...funky. We won! 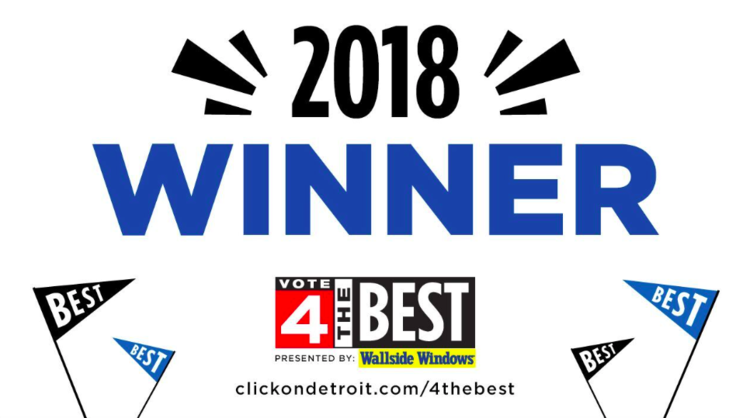 We were named Metro Detroit’s Best Vintage Store in 2018 in the WDIV Channel 4 “Vote 4 The Best Competition”! "On a blustery afternoon in mid-March, The Getup Vintage of Ann Arbor, Michigan is a sight for sore, wintery eyes. Bright pops of color pepper the plethora of pieces that greet customers upon stepping through the purple threshold. From EPA quotes in their dressing rooms about textile waste, to cleaning their garments using house-made organic soap, to a curated collection of colorful clothing made to last, The Getup Vintage prides itself on sustainable practices." "Between garments, jewelry and even homemade laundry detergent in which clothes are washed in preparation for sale, Mitchell and co-owner Lindsay Leyland take every opportunity to minimize and eliminate waste to positively impact the environment." "Her vision is apparent: throughout the store, retro jeans hold their own next to racks of beautiful vintage swing dresses while shoes of all different time periods look on from the sidelines. The only thing these varying styles and articles of clothing have in common is that they all are something you could wear today, casually walking down the street." "The best part about costume shopping at The Getup Vintage is the fact that you are able to rework pieces of your costume into daily wardrobe essentials instead of shoving them to the back of the closet to collect dust; the pieces that this store offers are extremely versatile. How could they not be? The foundation of The Getup Vintage is built on recycling the old into the new and on reusing past favorites for current ensembles."